Our 15th Season in Phoenicia! Expanded Summer Hours! 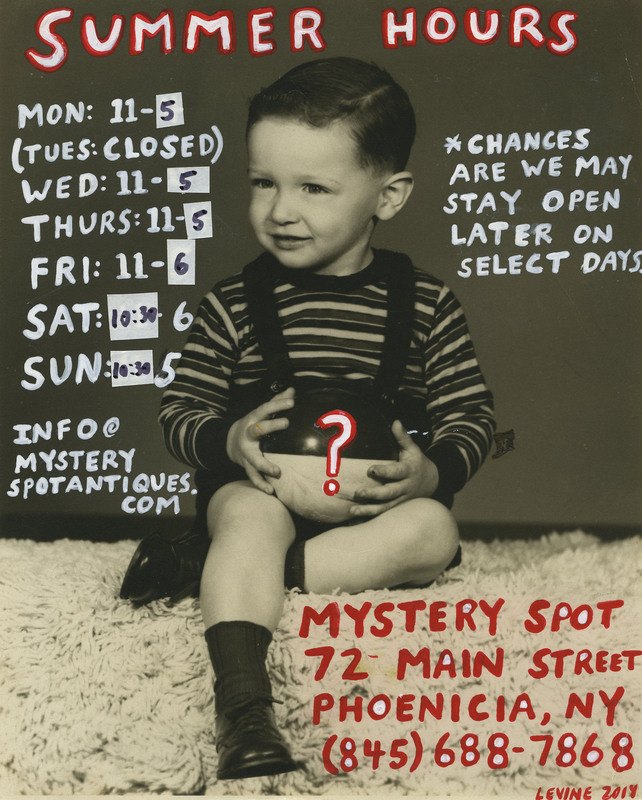 Phoenicia’s Mystery Spot is now open six days a week all summer! (As of Friday, June 24; open every day but Tuesday). Seven rooms packed to the rafters with men’s and women’s vintage clothing, vintage kitchenware, antiquarian books, killer vinyl and more coming in every week, all summer long! AND… probably later on weekends and holidays, or as the mood strikes….